Hello all my Frugalistas!! Welcome to this week's edition of Frugal Friday! NOTE: The service I use for my links (MckLinky - or Linky Tools) switched servers for thumbnail images this week, and it appears that the first 86 links in this party lost their images. Brent at Linky Tools is doing what he can to find the lost images, but he may not be able to recover them. If you are one of the links affected, I invite you to relink. He apologizes for this...I apologize for this. Just know that we want to see your fabulous links, and we've all come to rely on thumbnails...so don't feel funny about linking up again if yours was one of the images that was lost. THANKS! Mwah! folks. Can you believe this? Love. Love. Love. This home office redo makes me happy....from The Adventures of Ordy and Joon. The Speckled Dog shared a fun DIY tutorial on how to make these adorable pedestal bird houses. 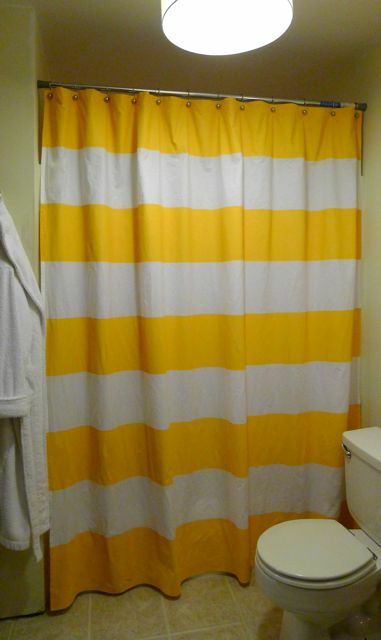 Welcome to Heardmont gives a very clever tutorial on how to make a West Elm knock-off striped shower curtain. 2. Grab my button from the sidebar, and link back the Shabby Nest...pretty please with sugar on it. 3. Please visit other participants and leave them some comment love. I reserve the right to remove posts that are not in keeping with the spirit of Frugal Friday including but not limited to those that link to your shop, your giveaway or your linky party, and those that do not link back to the Shabby Nest. Thanks for playing fair!! Thanks a bunch for hosting!!!! Thanks for having the party! thanks for hosting. would love it if you linked your party thumbnail to my parties page. Thanks so much for hosting! This is my first time linking up here and I'm a new follower. I'm celebrating mmy one year blogiversary with a Starbucks GC giveaway. I'd love for you to drop by and help me celebrate! Love those walls. I have nothing to share, but I am going to enjoy the party anyway! WOW! 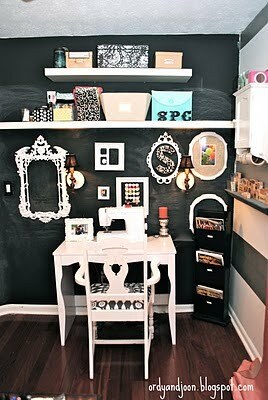 That chalkboard wall is absolutely incredible! Just linked up my paper craft items. Thanks for hosting ! thanks for hosting! I think I'm going to need to try out some of that chalkboard paint. Hello! This is my first time linking up with your party. LOVE it! Thanks for hosting! Thanks for hosting! I linked up my Whitewashed Concrete Eggs. THANK YOU so much for the feature! wow!!! Thank you for hosting!